In the last post I wrote about what might have been the first Ayahuasca documentary of all times. A recently unearthed rarity, narrated by none other than William Burroughs. Searching for more info on the elusive film led me by Google serendipity to Peruvian author Carlos Calderón Fajardo, who wrote a book about Borroughs second visit to Perú in 1993. Burroughs first visit, in 1953, was looking for ayahuasca, and turned into the famous Yaje Letters (newly edited and much expanded here). 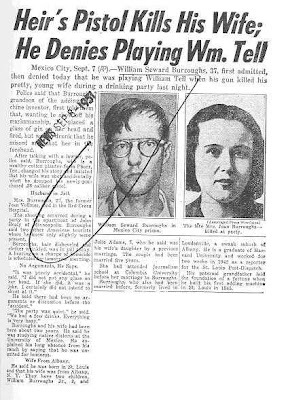 Burroughs had launched into his search for Yage ("the ultimate fix") after a hasty escape from Mexico where he had been sentenced for the bizarre shooting of his wife. The Yage Letters is probably the all-time best-known literary account of Ayahuasca. The South America Burroughs describes is a corrupt, violent place, full of poverty and misery, and although all of those things were true (and some are still true to this date) one feels Burroughs' tastes for the seedy underground of drug and juvenile delinquents kept him from ever seeing a broader picture. Re-reading The Yage Letters I felt as if Burroughs never really met anybody beyond the foreigners (he despised) and his casual sexual encounters with young men (that kept on robbing him) It struck me that he never seemed to experience what is wonderful not just about Yaje, but also about South America. The fact is Yage is Yage and anyone can prepare it in an hour or he has enough of the Yage vine. [...] The final result is 2 ounces more or less of black oily liquid. That is a dangerously strong dose — half the lethal dose — but it is standard in that area and it would not occur to them to take less or to take amount slowly. Indians are like that. They have a set way of doing things which they consider of its nature immutable." The first time Burroughs drinks he has a horrible time, distressed, he runs out of the maloca to throw up, he refuses the help of the curandero when it´s offered, and instead, he gulps down 5 Nenbutals to come down (these were the famous sleeping pills that Marylin Monroe used to kill herself.) After that Burroughs splits up from Schultes expedition, cooks his own batch of Ayahuasca and continues to drink by himself, as by now he believes that "the most inveterate drunk, liar and loafer of the village is invariably the medicine man"
Re-reading the Yage Letters I was constantly struck by the idea that Burroughs just didn´t get it, didn´t get South America, didn´t get Yage, didn´t get curanderismo. It´s as if he missed an entire set of experiences that will be familiar to most people who have spent some time in the Amazon drinking ayahuasca. I´m talking about simple things, such as experiencing the hospitality of strangers that turn into friends, and spending lazy evenings with them and their families... Nothing fancy or exotic, just basic human relations, which -in my own experience- can be one of the most rewarding things about traveling trough South America. What Burroughs got out of Yage, many agree, was the basis of the "composite city" and the nightmarish worlds he'd later describe in the Naked Lunch. 7 years later poet Allen Ginsberg followed Burroughs footsteps in search of Yage. He traveled to Pucallpa, where he describes an experience that seems much more familiar to modern Ayahuasca drinkers. He drinks in group, where -in spite of having a hard time- he feels well taken care of. Had laid out for long time [....] & Ramon had got up & told me to wrap myself in his mantle to protect form mosquitoes. A very kind gesture, I felt he realized I too had climbed up thu the Nose of God into Being the Same as Ramon - that we were all one, and this was a kindly gesture (wrought from afar by god) to protect me in my as yet delicate individuality - Later I went in the house, where they were (4 of them having drunk) sensing a great feeling of communal fraternity & sharing of realization of Infinite Intimacy - one old fellow on a bench, an albañil, moved over & motioned me welcome to to join him next to him to sit down. I saw that in Pucallpa they had their own secret transcendental nosy society, underneath very humane, in huts"
City Lights published The Yage Letters In 1963 (as well as Miserable Miracle, -what a title!- about Heri Michaux Peyote experiences.) That same year (1963) the Merry Pranksters embarked of the famous bus tour. Up to that point the main book about entheogens had been The Doors of Peception by Aldous Huxley about his mescaline experiences. And whereas Wasson 1957 Life article about magic mushrooms sent seekers by the hundreds to the Oaxaca mountains, and Castaneda's 1972 books sent waves of hippies to the Yaqui and then (disappointed at the lack of entheogens) to the Huicholes. It seems like the number of anglo seekers who decided to search for Yage during the 60's/70's is so small as to be negligible (either that or they left almost no literature). My theory is that Burroughs' less-than-appealing tale overshadowed Ginsberg´s perhaps more "standard" account. 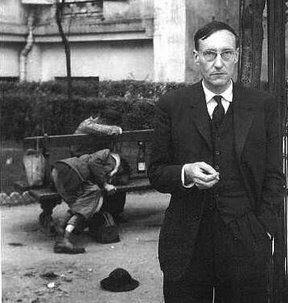 Many people in the 60´s had heard of Ayahuasca (or Yage) but thanks to Burroughs they never felt like seeking it out. And who knows, seeing how things played out in Huatla for María Sabina and her family, maybe it was better that way? or words or thoughts or sensations & images to that effect. After they have been killed by the illusion of Impossible Death. Excellent resource, thanks. I was in Iquitos and saw your talk that is posted here. One of the only useful presentation events at the conference (What a strange, strange event). Burroughs was one of the first things I re-read on my return and I totally agree with your conclusions posted, although I am interested in how Ginsberg and he play off each other to the reader. It is as if they represent both poles of the bad thinking I encounter in this territory. B's literary work resonated a LOT more on this pass though - Michael Taussig, whose work you have on the blog margins, mentions Cities of the Red Night a lot when he lectures on Shamanism and Ayahuasca... Anyway, thanks for the resource and the bi-lingual posts! Looking forward to close reading each post. Thanks for your comments. I looked at your blogs, very nice work! I am very interested on the Michael Taussig lectures on Shamanism & Ayhuasca you mention. Are they available anywhere? Burroughs _was_ an idiot ... and/but the pot-smoking city-mouse "literati" still swoon over him. Preparando envíos, necesitamos vuestras direcciones! Want to know when there are new posts?